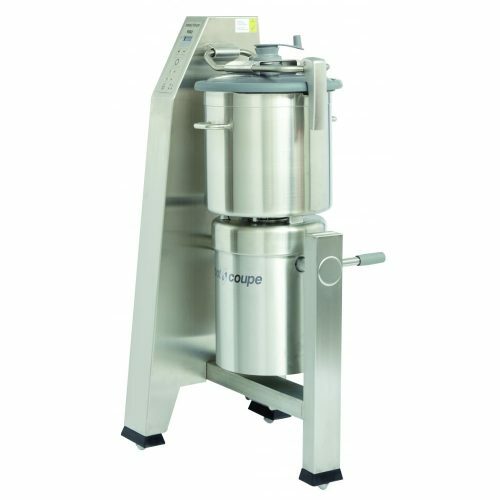 The Robot Coupe R 60 Vertical Cutter Mixers have been designed for processing both large and small quantities. The cutter allows the processing of meat, vegetables and smoothly textured mousses, as well as for grinding and kneading foodstuffs in a minimum of time. All stainless steel machine for space saving, built with a removable bowl and tilting seal for easier cleaning and to empty the bowl easily. Control panel designed for a simple and reliable use and equipped with a timer for a better preparation control.